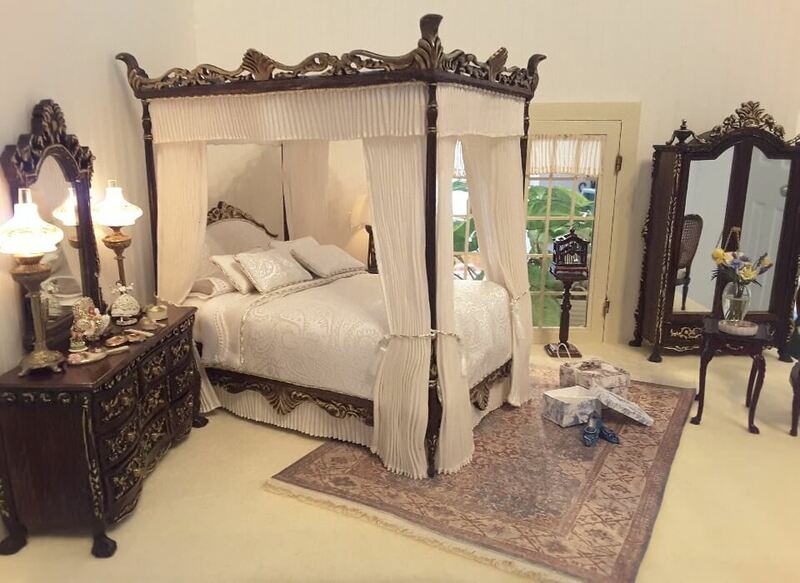 Dollhouse Linens and More offer a wide variety of handmade dollhouse miniature bedding and draperies. 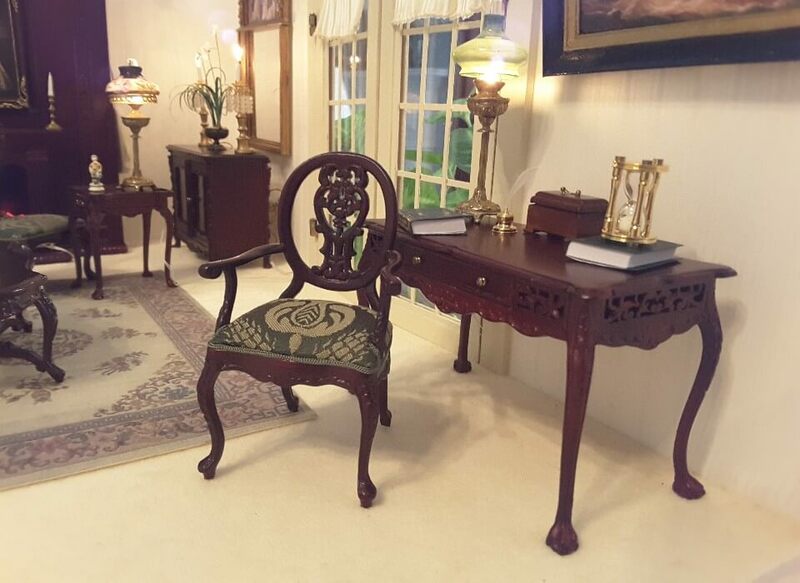 Dollhouse collectors with a distinguished sense of style will enjoy the custom design service. 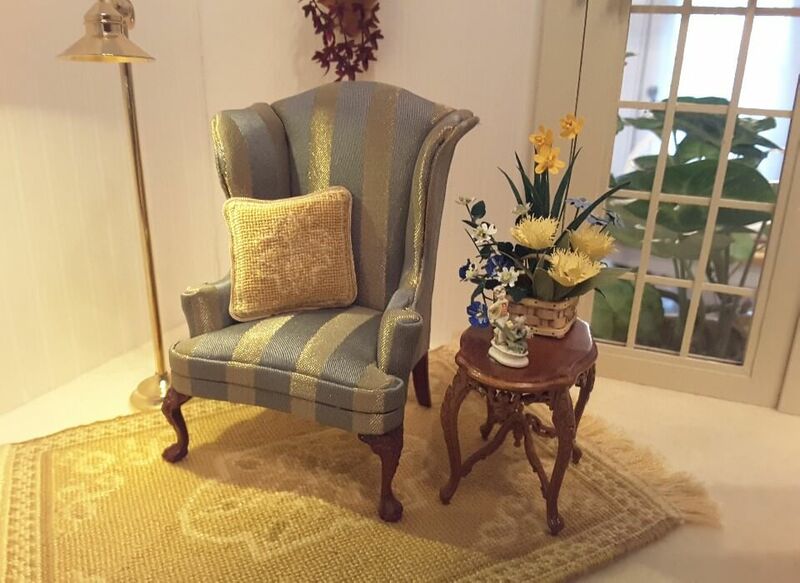 All miniature drapes, bedding, cornices, and upholstered furniture are hand done. 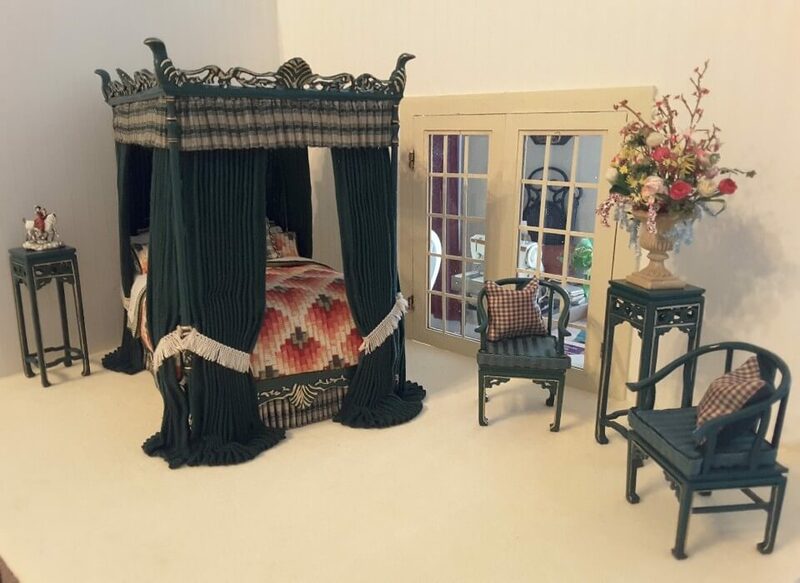 Every attention to detail is taken -- whether it's the miniature beaded tassel tiebacks or the dust ruffle on the dollhouse beds. 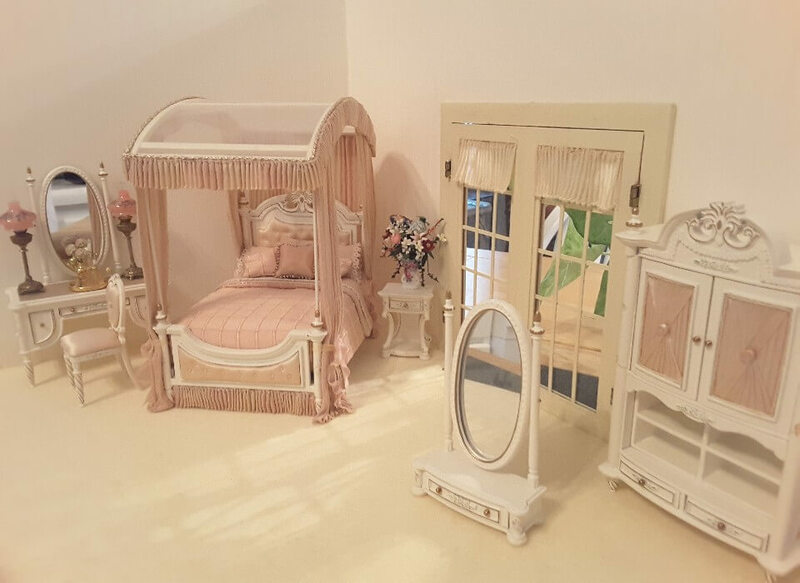 The window treatments and dollhouse bedding is available in 1/12 or 1/24 scale. 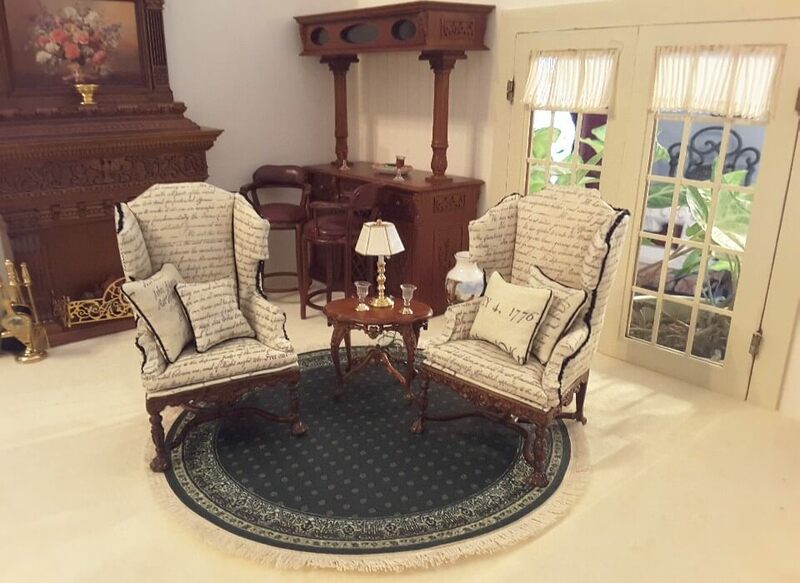 All products are exclusively made by Wilson Santiago with 12 years experience in dollhouse miniatures, miniature window treatments and dollhouse bedding. Welcome to Dollhouse Linens and More! I hope you enjoy my designs -- the choices are endless. I take pride in helping miniaturists select the best choices for their dollhouse rooms or room boxes. 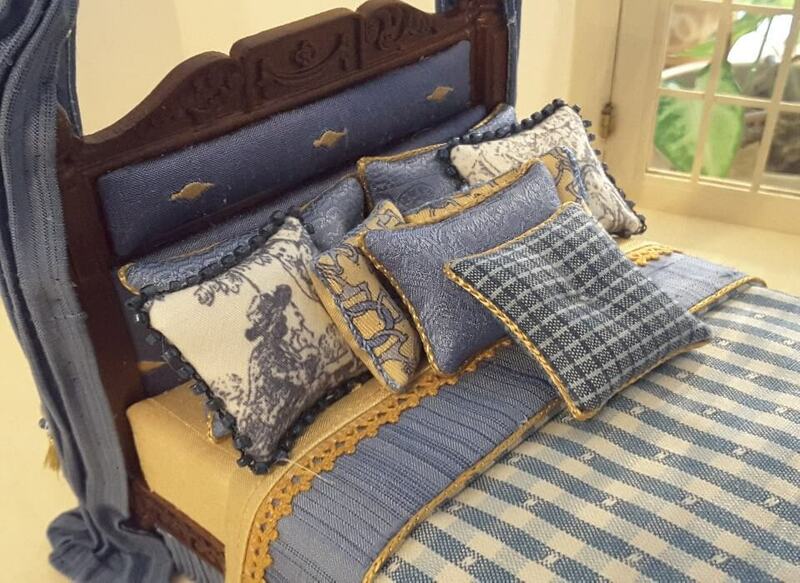 The fabrics are specifically chosen for miniatures to ensure that pattern, texture, overall appearance is in scale. The fabric chosen will have gravity, which means it will drape down naturally to achieve the most realistic appearance possible. 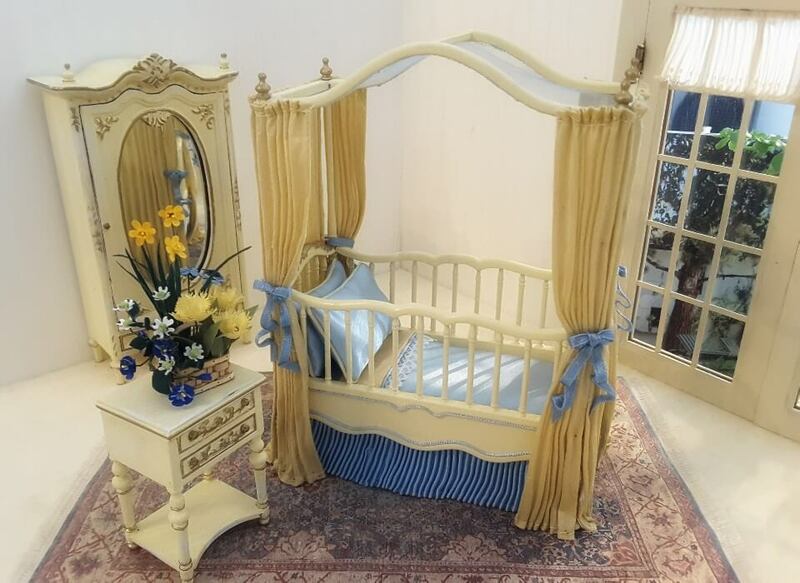 The miniature beds used are of the highest quality, made by well known manufacturers. The cornices are all handmade of wood, not cardboard. 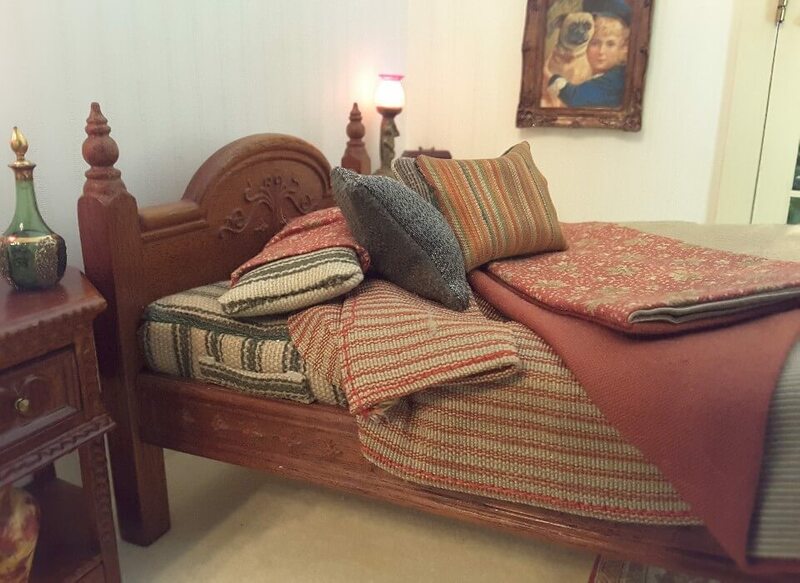 If you have a bed already it's possible to send it and have it dressed. All local customers can have their window treatments installed. 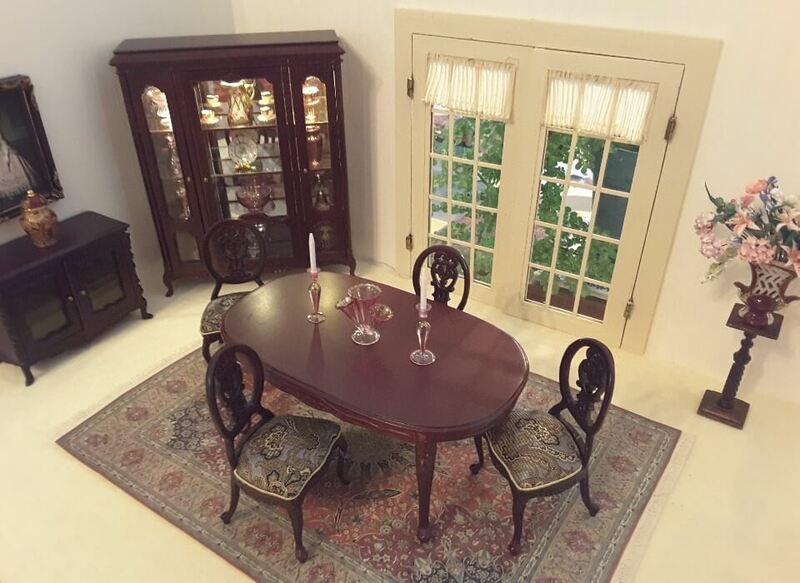 Just contact me and I will assist you in making your dollhouse dreams come true.